As an additional cost to play Withering Boon, pay 3 life. griffstick on Secret Tech you have found! 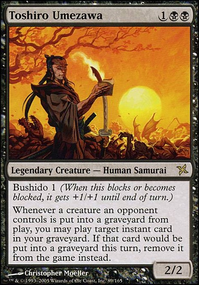 I found Withering Boon to be a great inclusion in my mono black builds. We all know black has no problem getting creatures off the field. But it's that damn ETB effect that gets you. So that where Withering Boon shines. Rune-Scarred Demon ? Nope. terrastodon? Nope. You get the point. Another good mono black inclusion I found myself putting in every mono black build is Imp's Mischief . This is a unique black effect that really catches people off guard. TAKING THERE EXTRA TURNS IS THE BEST. 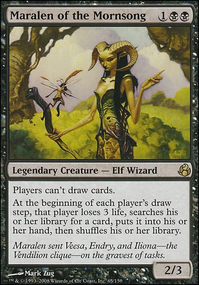 Withering Boon and Song of Freyalise are sweet, underplayed tech, especially for Golgari Elves. Kudos for using those. 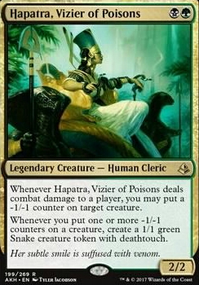 I'm working on a Nath deck for one of my kids and I'm definitely going to borrow from your list. I for one quite like Withering Boon and Avoid Fate - shittier off coloured counter/protection when you just can’t run . Are they cedh viable? Nah probably not but you’re guaranteed to get someone asking to RTC because they just don’t know wtf it is, and that makes me moist. Guys... I checked out NoOneOfConsequence's Shirei list. Guess what? It is trash. 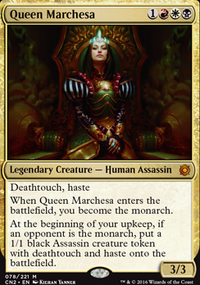 Sorin Markov and Mindslaver as wincons level of trash, not even a joke, that bad. Oh, you want examples? Heap Doll is the type of stuff this deck runs. 1 mana watses of a card that only occasionally could give value with the 5 mana commander with no immediate impact on the board. Oh, but at least the numerous 1 mana do nothings are at least only 1 mana, right? Workhorse has something to show you. Do you want to actually know what 'control' it has? No countermagic in mono-black (Unless Dash Hopes or Withering Boon are going be your fancy) so it has to have serious removal, yep, this list runs all of the cEDH classics like Fume Spitter , the mana efficient card draw in the form of Harvester of Souls , yep, and hate pieces like Sorceress Queen . I can't believe I looked at this garbage. It runs Damnation over Toxic Deluge . Also, Tasigur, as Mighty_Darknut said does have some very efficient interactions, but I am still going to stick by my word that Divergent Control is the best permission control list in the format, a link is at BUGR Divergent Control. 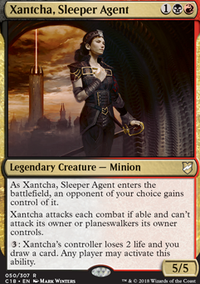 It uses Notion Thief and Whirlpool Warrior as its combo target, and I while am more a fan of Kiki-Exarch it it's place, it does do work. 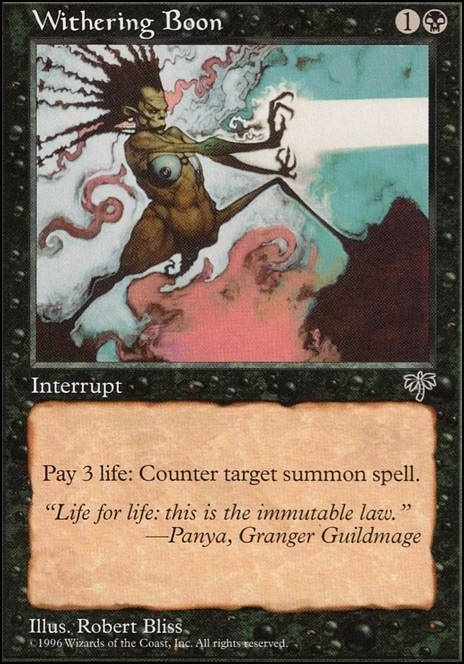 Other powerful permission control lists are Tasigur, GAAIV, Baral, and Rashmi. goldlion Yes! I always find myself one short of a turn before I need to combo out on T2/3 so I might need to do some re-tuning. The one thing I love about my deck is the pure consistency, this is my favorite deck to play that can be on par with true Maximum Power/Competitive commanders. Plus I haven't seen any other Teneb decks like this one that's been tuned or optimized, I'm fairly proud of this one as well as my Intet deck (although I'm still in a dilemma on optimizing my Intet one right now, currently JohnnyCRO and SynergyBuild has been giving me great ideas to re-tuning her). @ SynergyBuild You made me laugh haha!, I love off color counterspells that are jank, but you are right if it works...IT WORKS! My best friend wanted to make a 5C deck with ALL the counterspells to troll people haha!